In this modern world of mass produced stuff, some manufacturers find it hard to ensure quality of their product. It gets even worse with small custom furniture workshops, as they may lack sufficient knowledge, skills and equipment to make chairs that last. So the first thing to do is carefully inspect the broken chair. Maybe the paint is scratched, the upholstery is ragged or the backrest cranks as hell. In this case, perhaps the best way is to dump this sucker and purchase the chair of your dreams. Go check the local furniture store, perhaps they have great deals right now. However, if the chair is one of many identical in a set, it could be hard to replace. Or you rent your place and just do not want to invest in it. 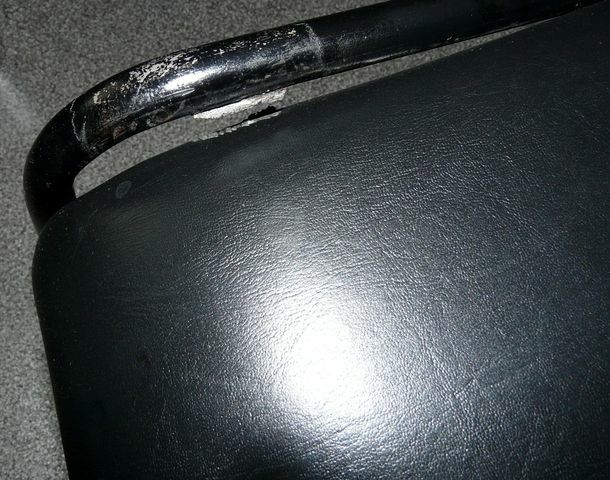 Or you have plans to still use the chair in the garage… Whatever the reason, we have to start the repairing. The patient is a steel framed office chair. Somebody stood on it with whole weight on one edge. The welded joint gave way and went off completely. First, bend the frame back, so that the two pieces of the joint are together again. Now apply a drop of nail polish remover (or any other solvent) to remove grease and dirt. Now we are going to use cold steel welding compound. 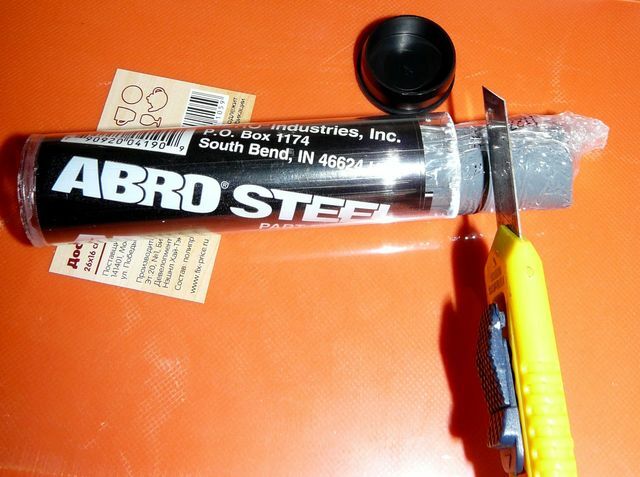 This is a two-component epoxy adhesive, reinforced with steel sawdust. It has superior bonding power and sticks to metal. You can get some in any auto parts store. 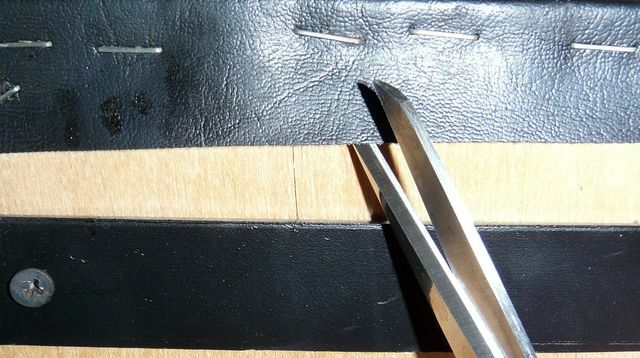 Cut at least 1 cm of the adhesive with a knife. Pieces shorter than 1 cm may not be enough to start the chemical reaction, and removing uncured epoxy from metal is a very tedious job. So don’t be cheap and cut of a good 1-2cm chunk. Now, spray some water on you hands and start to roll the compound between both palms, like putty. When the roll is long enough, fold it twice and roll once again. Repeat this 3-4 times until the compound color is even. 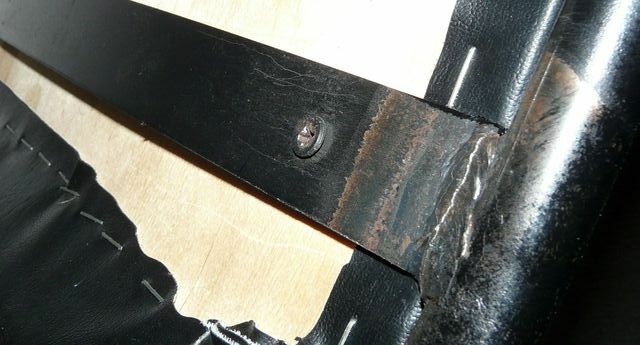 Now apply the adhesive to the torn welding joint, and be quick: you only have about 2 minutes. The time between you start to roll the compound and fully apply it must not be more than 5 minutes. After the 5 minutes, fresh epoxy starts to cure and should not be touched, as any movement may weaken the resulting bond. Warning! Curing epoxy emits toxic gases. So be sure to have fresh air flowing into the room. After completely cured, cold weld is harmless. If hard cases like this one, you may have to wrap the cold weld around the torn joint to secure it in place. Unscrew the seat if you have to. 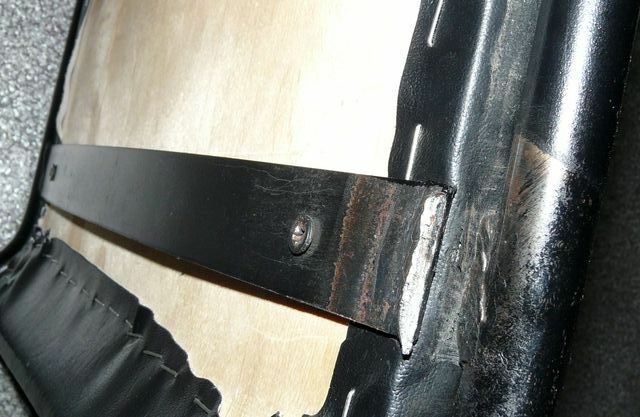 It is also a good idea to impress metal wire or a cable tie around the joint inside the curing adhesive to reinforce it. Cover the tie in epoxy and cut off the excess. 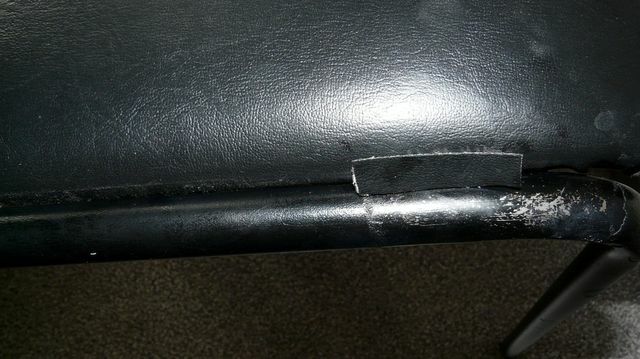 The torn joint also damaged the upholstery. So cut a little bit from the downside of the seat. And now apply it to the torn spot with polyurethane or super glue. 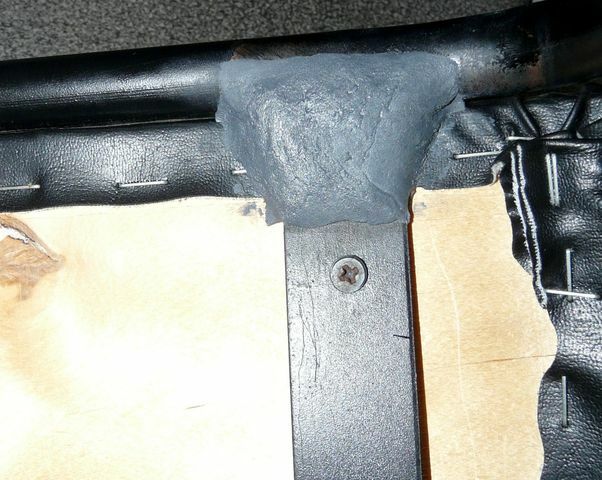 Allow the epoxy and glue to dry for a couple hours, and enjoy your fixed chair!